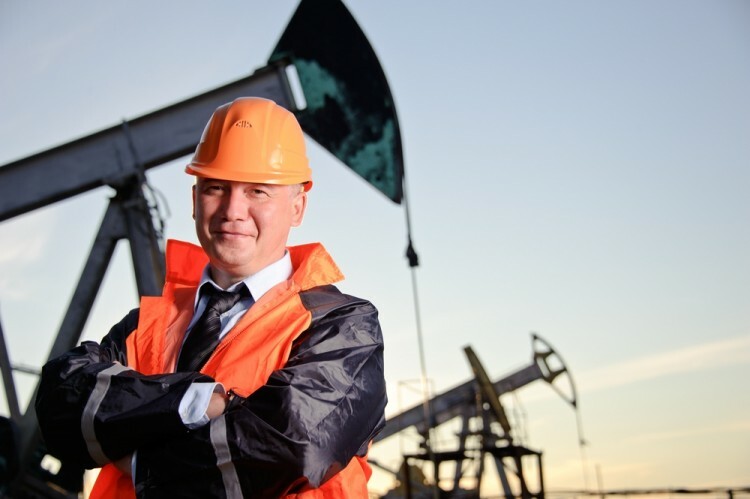 What Hedge Funds Think about Cimarex Energy Co (XEC)? We know that hedge funds generate strong risk-adjusted returns over the long run, therefore imitating the picks that they are collectively bullish on can be a profitable strategy for retail investors. With billions of dollars in assets, smart money investors have to conduct complex analyses, spend many resources and use tools that are not always available for the general crowd. This doesn’t mean that they don’t have occasional colossal losses; they do (like Ackman’s recent Valeant losses). However, it is still good idea to keep an eye on hedge fund activity. With this in mind, as the current round of 13F filings has just ended, let’s examine the smart money sentiment towards Cimarex Energy Co (NYSE:XEC). Is Cimarex Energy Co (NYSE:XEC) a safe investment today? It looks like, investors who are in the know are betting on the stock. The number of bullish hedge fund bets rose by four to 43 between July and September. At the end of this article we will also compare XEC to other stocks including Liberty Broadband Corp (NASDAQ:LBRDA), Ferrari N.V. (NYSE:RACE), and Motorola Solutions Inc (NYSE:MSI) to get a better sense of its popularity. With all of this in mind, let’s take a look at the key action encompassing Cimarex Energy Co (NYSE:XEC). How have hedgies been trading Cimarex Energy Co (NYSE:XEC)? At the end of the third quarter, a total of 43 of the hedge funds tracked by Insider Monkey were bullish on Cimarex Energy Co (NYSE:XEC), a up by 10% over the quarter. 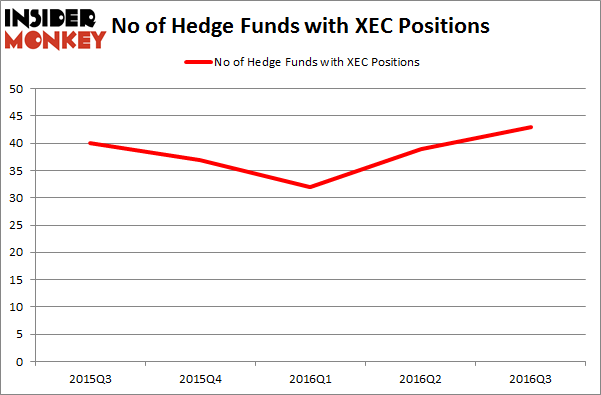 Below, you can check out the change in hedge fund sentiment towards XEC over the last five quarters. So, let’s see which hedge funds were among the top holders of the stock and which hedge funds were making big moves. Of the funds tracked by Insider Monkey, Ric Dillon’s Diamond Hill Capital has the number one position in Cimarex Energy Co (NYSE:XEC), worth close to $434.6 million, corresponding to 2.7% of its total 13F portfolio. The second largest stake is held by Citadel Investment Group, led by Ken Griffin, which holds a $270 million position; 0.3% of its 13F portfolio is allocated to the stock. Some other members of the smart money with similar optimism comprise Israel Englander’s Millennium Management, Rob Citrone’s Discovery Capital Management, and Steve Cohen’s Point72 Asset Management. We should note that none of these hedge funds are among our list of the 100 best performing hedge funds which is based on the performance of their 13F long positions in non-microcap stocks. Hedge Funds Remain Unimpressed by POSCO (ADR) (PKX) How WCI Communities Inc (WCIC) Stacks Up Against Its Peers Xcel Energy Inc (XEL): Smart Money Ownership Continues to Dreadfully Lag Peers... Is Controladora Vuela Co Avcn SA CV (ADR) (VLRS) Going to Burn These Hedge... Hedge Funds Are Doubling Down On WSFS Financial Corporation (WSFS): What Do... Is Southern Co (SO) A Good Stock To Buy?